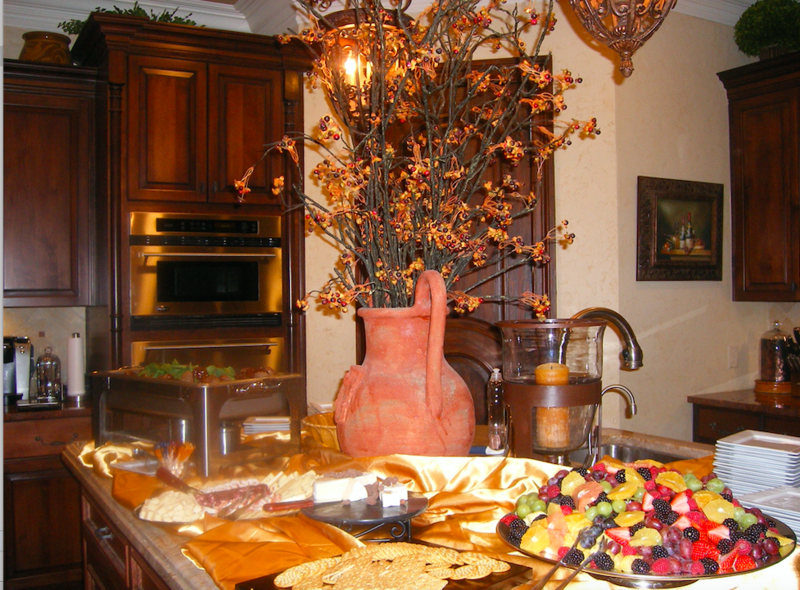 Fall is one of the best times of the year for entertaining. 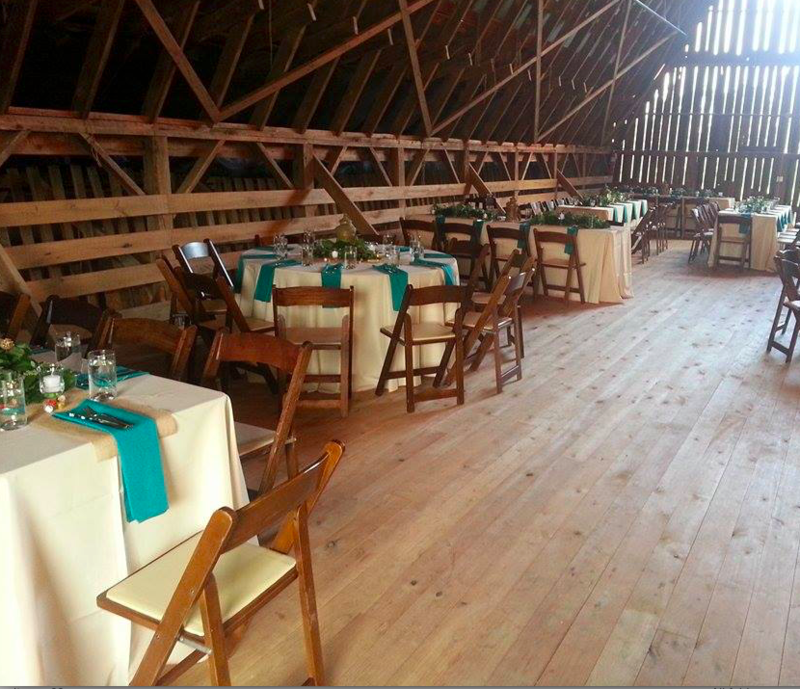 The weather is perfect to be both indoors and out, so your guests can wander. 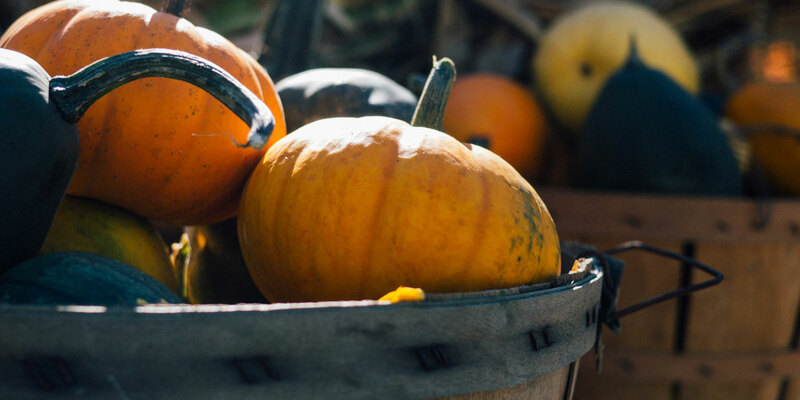 The décor is easy to pull together because there are gorgeous pumpkins, gourds, and mums everywhere. And instead of the light cuisine of summer, you can start to serve the hearty, comforting meals of the season. 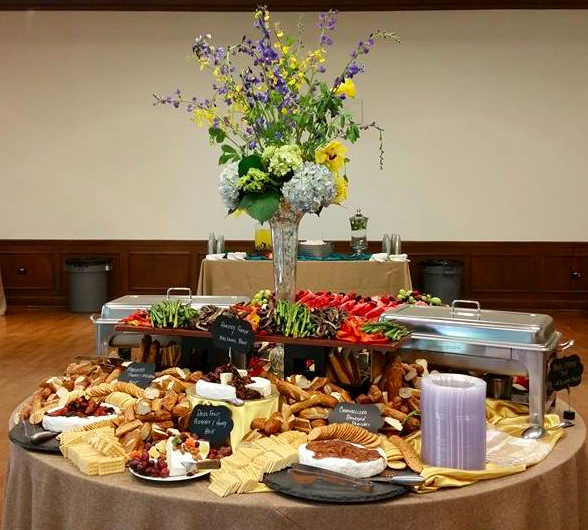 Now any good host knows that the key to a good party is to start it off right, and that means amazing cocktails and hors d’oeuvres offered to your guests as soon as they enter the door. A full guest is a happy guest, and we’re here to help. Whether you’re having people over for a small cocktail party or hosting a big event, we’ve got two fall cocktails paired with autumnal appetizers that you need to try! Have them solo, together, or just as the beginning of a feast- we never judge when it comes to good food! To match our chillier weather, we’ll start with the cold drink and appetizer. Change up your usual sangria for this fall version that centers almost completely around apples, if you pick them from a local orchard you get bonus points! 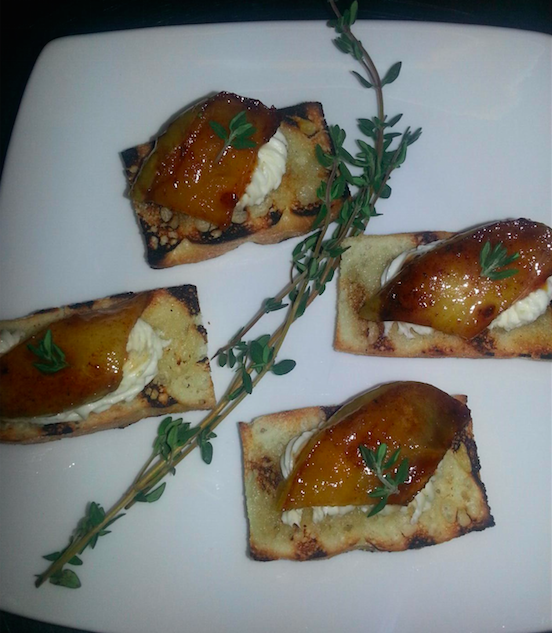 Pair the sangria with our caramelized pear and brie crostini, a perfect autumnal hors d’oeuvre. The brie’s creaminess and slight bitterness is softened by the brown butter notes in the pears. A fresh sprig of thyme serves the dual purpose of a garnish and adds just a hint of earthiness- it is the harvest season after all. The sweet and tart flavors from the sangria will complete the fall celebration for your guests. 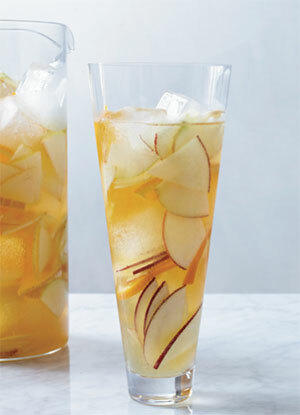 In a pitcher, combine the apples with the orange, apple juice, lemon juice and brandy. Just before serving, add the hard cider. Serve in tall glasses over ice. Since we’ve done a cold drink and cold appetizer, it’s time to change it up. 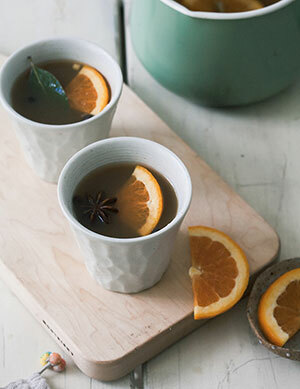 This warmed, mulled cider and soup are the perfect complement to each other. Pumpkins might get all of the attention, but butternut squash is one of the most quintessential fall tastes. The butternut squash has a natural sweetness that pairs so well with this toasty cider. The citrus in the cider (from the apple cider and the navel oranges) is a nice counter to the creaminess of the butternut squash soup. Autumn is here. 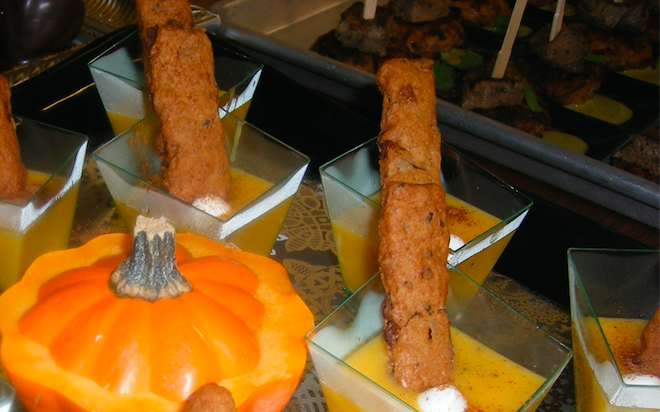 We like serving the soup in small individual cups with apple-pecan shortbread crackers that your guests can dip into the soup. You can serve this combination solo or add them to the menu with the sangria and pear crostini if you’d like. To a medium saucepan, add all of the ingredients. Stir and place it over medium-high heat until it reaches a gentle boil. Bring the heat down to low and cook until fragrant and delicious, about 5 minutes. Turn the heat off and cover the pot. We like to keep it like this for guests. Every now and then you may need to turn the heat back on to warm it. And of course, this is a good recipe to double. We love sharing all of this boozy, fall goodness, but we’re going to keep our delicious appetizer recipes a little closer to the vest! We can’t go around sharing all our secrets! But if you’ve got a fall party or event, whether you’re just a few close friends or every person you’ve ever met, we would love to be a part of it. And, yes, we promise that we will bring all of these fall favorites with us! 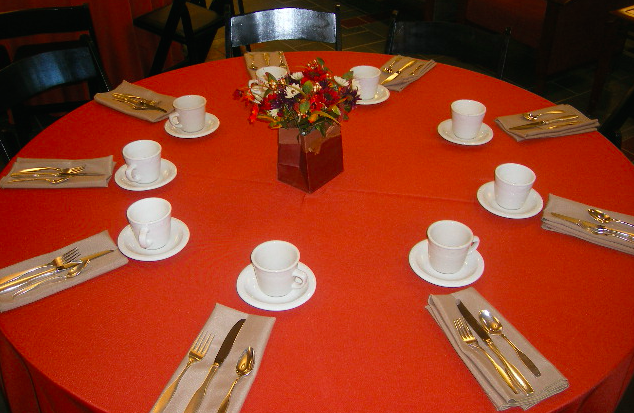 Give us a call or send us an email, and we’ll take care of the perfect menu, autumnal tablescape, and cozy atmosphere.